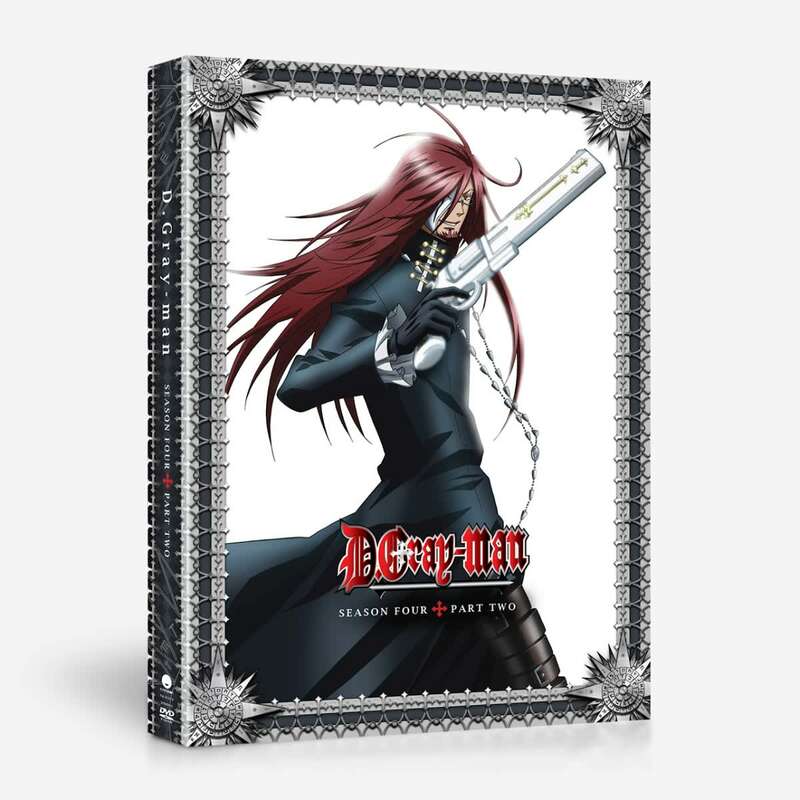 D.Gray-man Season 4 part 2 contains episodes 91-103 of the anime directed by Osamu Nabeshima. Things turn dire for Allen and his friends as they face the newly transformed Tyki Mikk in the crumbling Ark. But right when they think they’ve lost, General Cross appears and comes with a bizarre order for Allen—he must control the Ark using the key of The Fourteenth. With little explanation, Allen steps up to the piano and plays the melody within him! Will it be enough to get everyone home? Special Features: Episode 94 Video Commentary, Episode 99 Commentary, Episode 103 Commentary, Textless Opening & Closing Songs and Trailers. Finally, the Akuma invasion of the order is finally here and the battles involving the generals (of the order) is just glorious. Just the right amount of tragedy and action for a good shounen. While my hubby and I were waiting for this and when we finally get this I was so upset with the ending. There is so much left out, does Allen fight the Millennium Earl and win??!! You want the answer...……..this reminds me of how Tokko ended and we were NOT happy with the last episode of that anime. Seems like a trend with anime if they leave certain things out for the show, they have it all explained in the manga, which I am not relying on. If you are a die hard fan of D. Gray-Man then this is for you, but if you are looking for closer you won't like the ending.